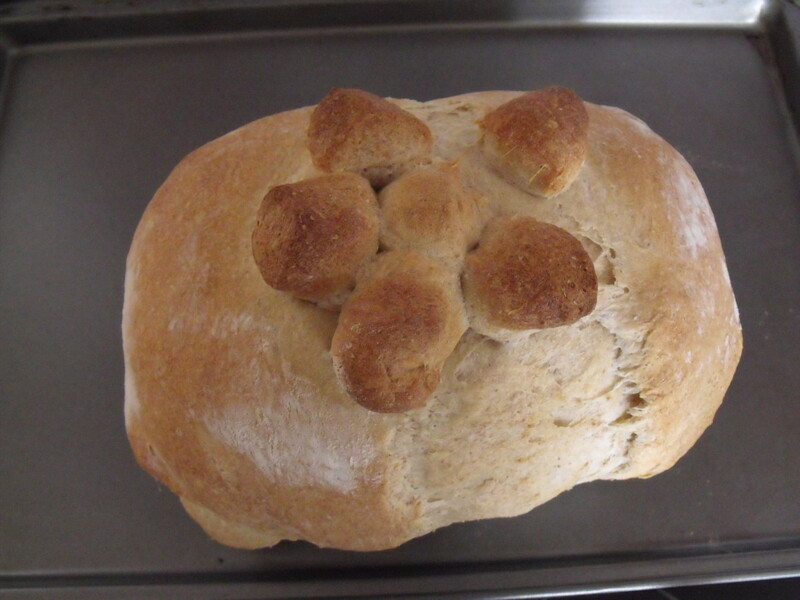 Tony has been baking bread for many years and loves experimenting with bread from around the world. He enjoys passing on his experience. When Fabio rings to say he fancies getting together for a baker’s night, I clear the worktops and get out the mixer. If you have read any of my previous Italian-style recipes, you know my friend Fabio is from Tuscany and comes from a family of great natural cooks and bakers. We often get together to share recipes and have a good chinwag. We usually manage a few drops of wine—for medicinal purposes, of course. We decided to make a few things; the recipe below was one of them, a delicious leaven flatbread called focaccia. 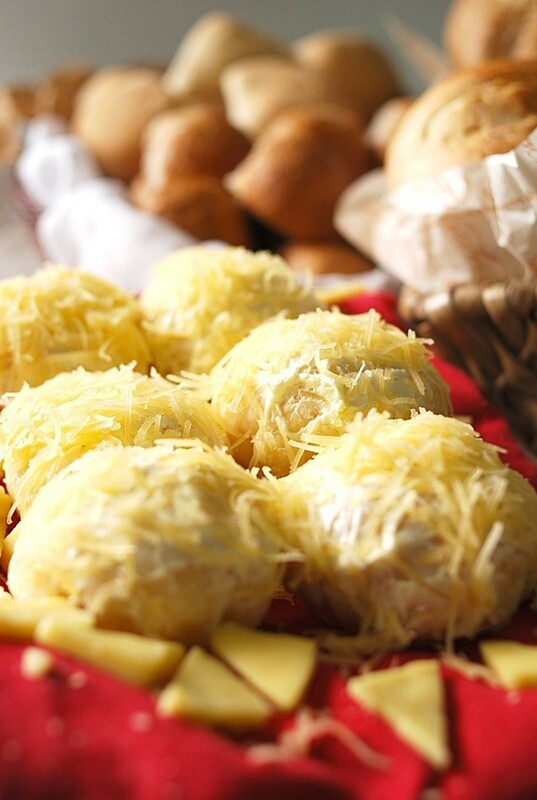 This is very traditional and makes a great snack or main meal. 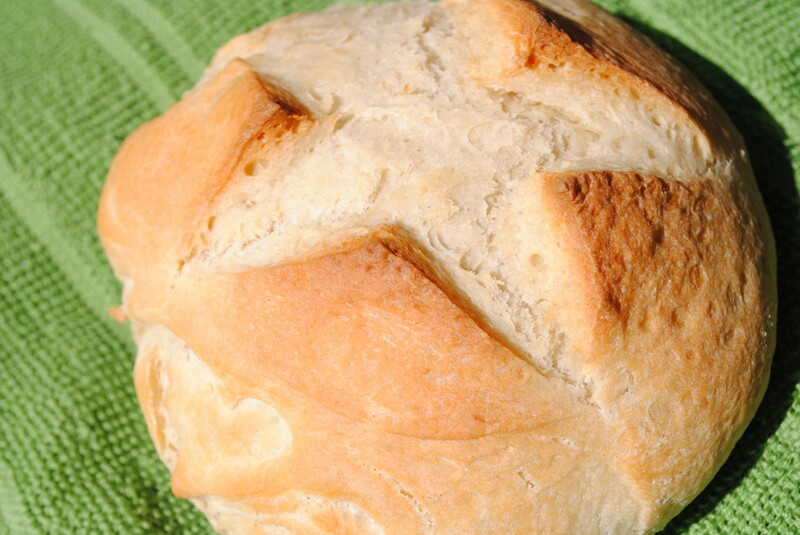 As with so many of my recipes, it’s about the taste of the bread rather than just making a loaf. I really think that if you have a good bread, you need very little else on your table. 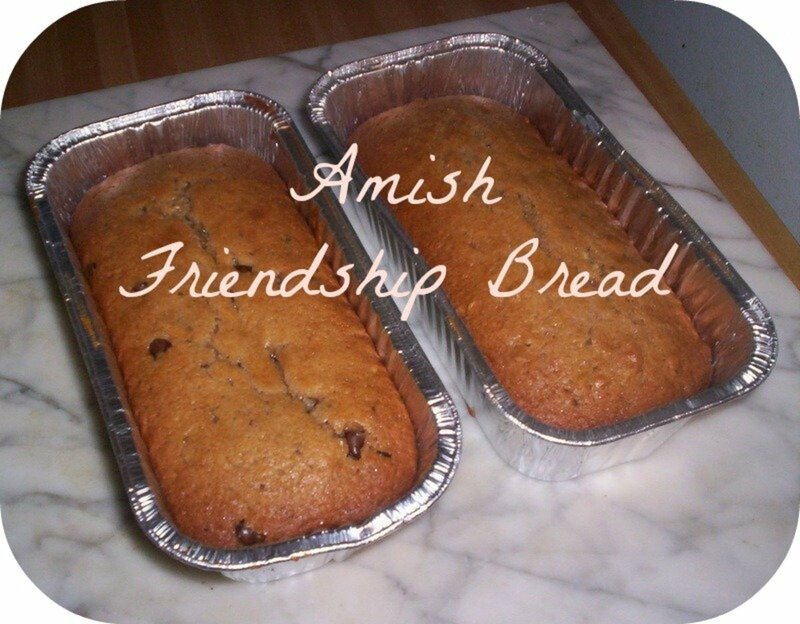 And although the quotes says "man can’t live on bread alone," it certainly makes a very good foundation for any meal. When Fabio arrived, he was soaked to the skin; it was absolutely hammering down, but it didn’t dampen our enthusiasm for our cooking night. Italian flour or ‘oo’ flour [any good bread flour will do otherwise]. 1 oz of fresh yeast, or a sachet 7gm of dried fast yeast. Make your yeast sponge; add a little honey or you can try my favourite maple syrup, and then about 50gms of flour to your yeast. Add some warm water, and mix well. Leave to proof for ten minutes. 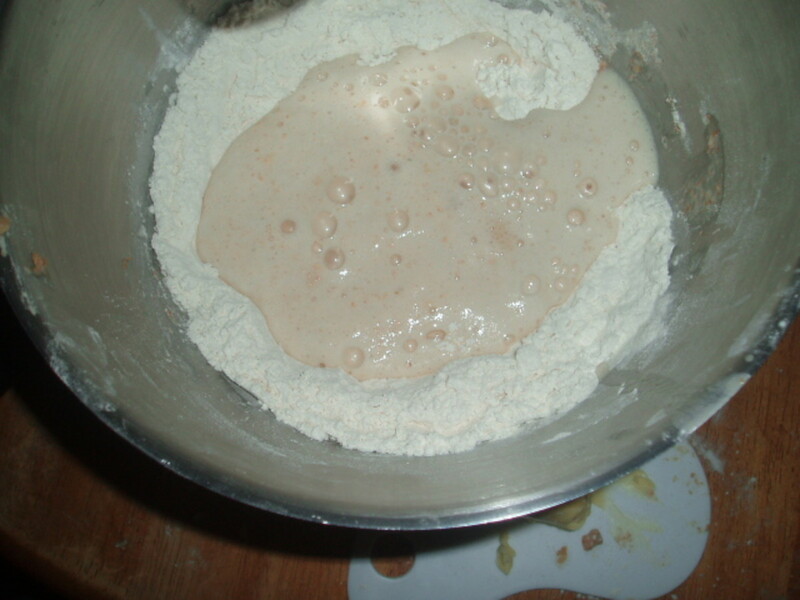 Warm your mixing bowl, and then sieve in the rest of your flour. Add your sponge, and let it soak for a few minutes. Now start to mix. If you are using a mixer, start nice and steady. Add the rest of the water, and then the butter and salt. Knead until you have a really smooth dough. Some like to chill it for a few hours, but I’m always in too much of a hurry to eat it. 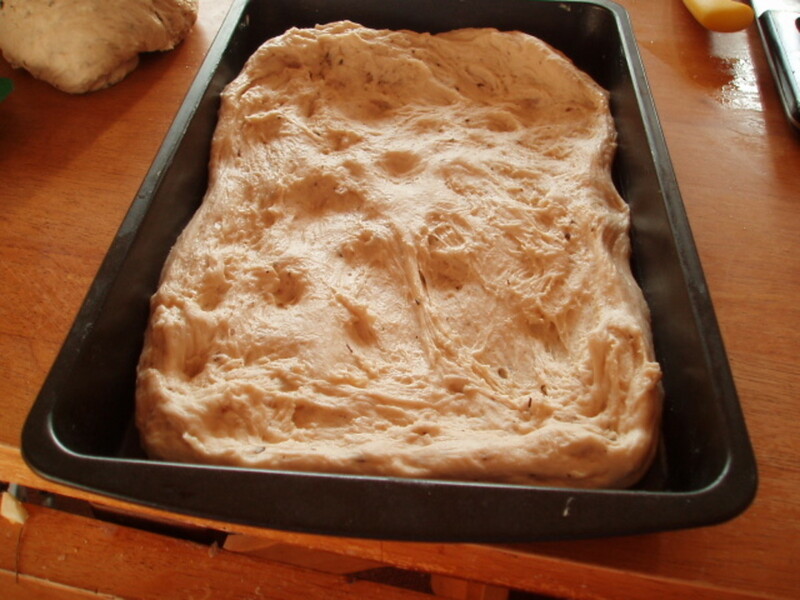 Leave the dough covered with a damp cloth for twenty minutes. 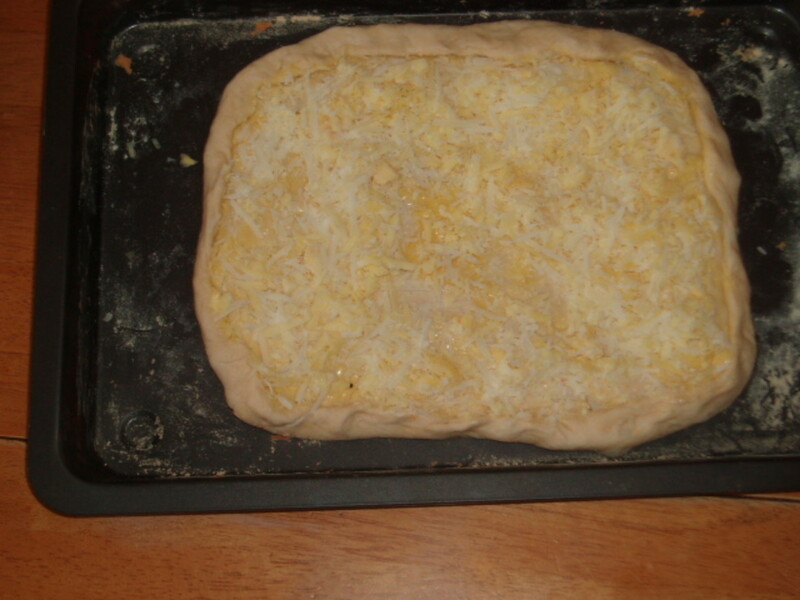 Divide the dough, and with the first piece, roll out it out. Sprinkle the herbs, and slice the olives into thin slices and add them. Fold the dough, roll again, fold again, and fold again. 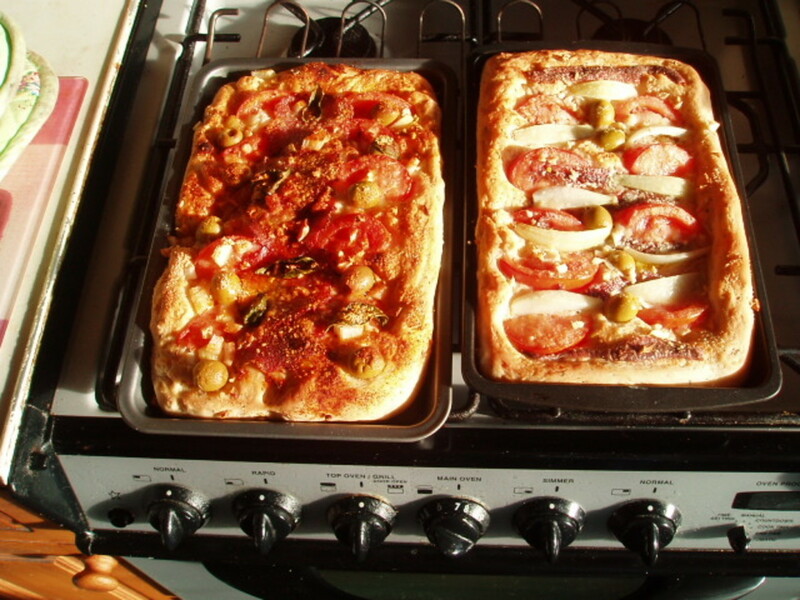 If you have an oven tray, stretch the dough out, and fold in the edges to make a crust. Traditionally, they put dimples into the dough so that it holds the topping better. Give the second piece of dough the same treatment. You can make them any shape. In fact, we ended up making them more pizza-shaped. Sprinkle the onions, chopped garlic, cheese, herbs, and a few drops of olive oil. Cook in the oven for 20-25 minutes at gas mark 7 or 425f degrees. Serve with olives and maybe some Italian-style smoked ham. Always serve with love, and it will taste much better. We came up with a herb flavouring mix for the dough to add last of all. 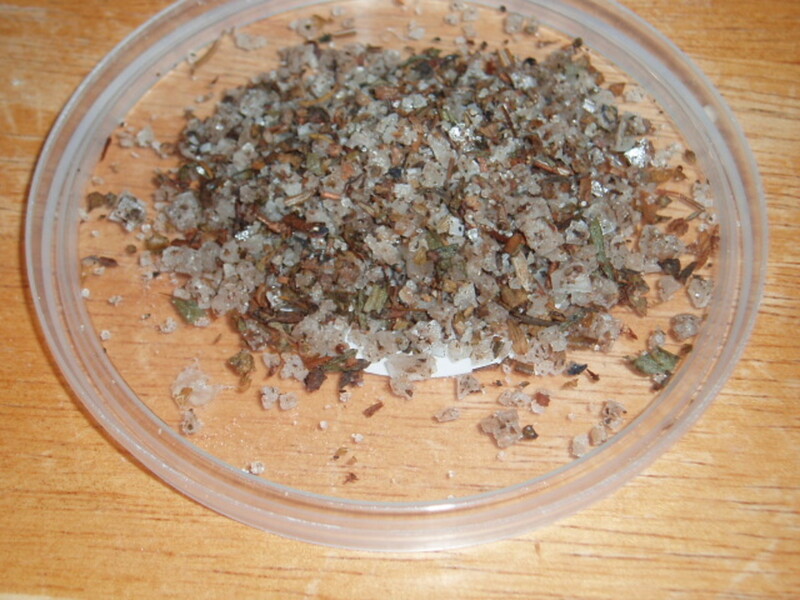 If you have a ‘Herbs De Provence’ mix then you can use that because we mixed; rosemary, thyme, marjoram, oregano, basil, tarragon, black pepper, and for a real flavour kick, we added some dried lavender. That last ingredient really adds something different to the mix, all the others we’ve used before. Fabio told me his grandmother on his mum’s side used to add lavender to all sorts of dishes, including stews and bread. His dad’s, mum used to hate it and so if the family ate out at Fabio’s house there was always arguments about adding the lavender. Mind you he said they both could argue about anything in the world, sometimes changing viewpoint just to prolong the argument. 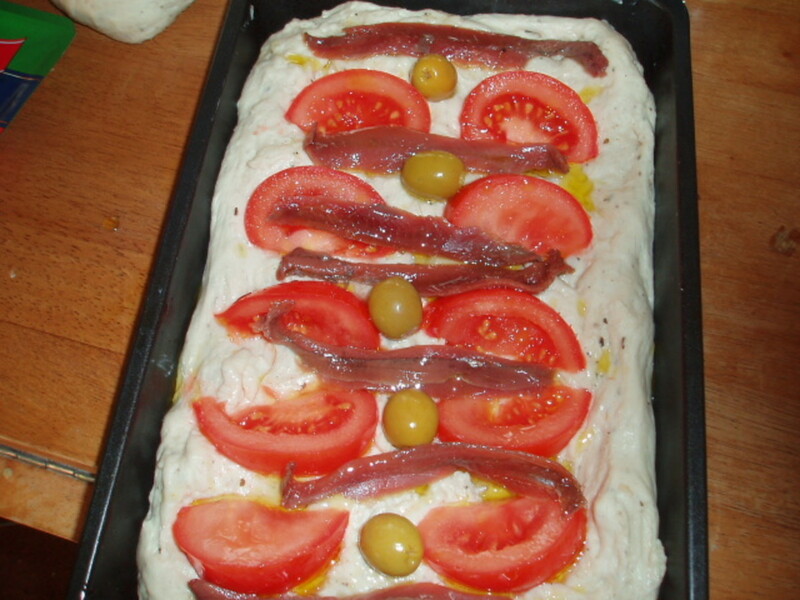 For the topping of one, we used tinned anchovies, which had been tinned in olive oil, also onions, garlic, tomatoes cut into segments. The spare oil from the tin was dripped over the topping and then finally a sprinkle of Parmesan cheese. 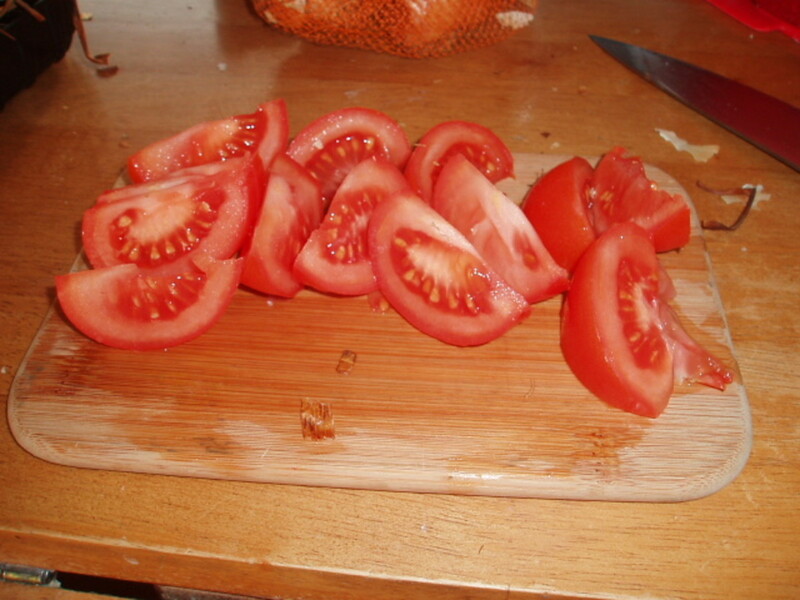 Cut the tomatoes into thin segments, they cook better and let the heat penetrate through to the bread easier than using say, half pieces of tomato. 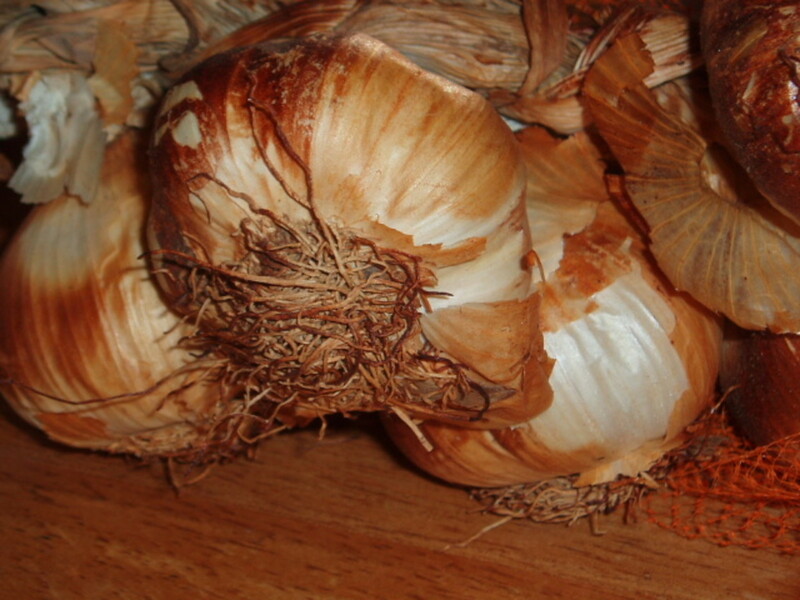 I nearly always use smoked garlic, they last longer, and the aroma is just knock out. You can use garlic powder, but I find it quite a different taste to fresh. 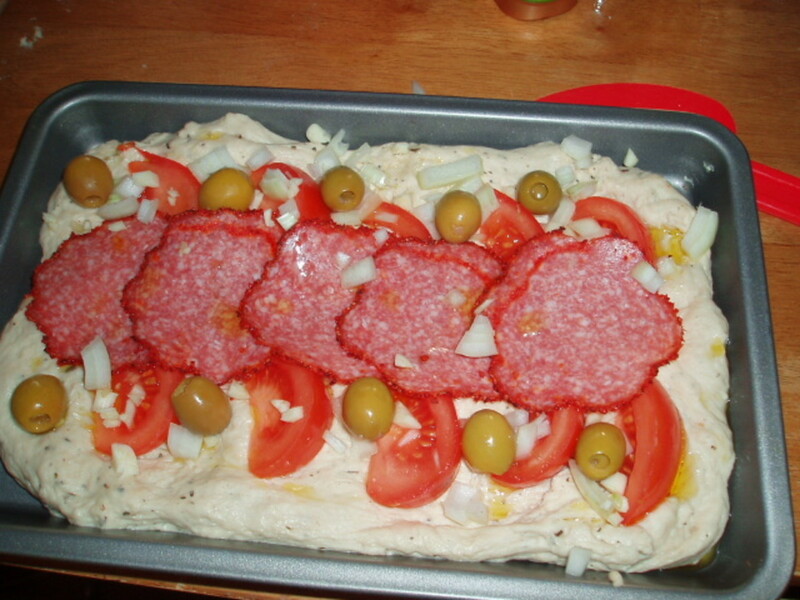 The second one we topped with tomato segments, onions, garlic, a drizzle of mustard oil, a few slices of Italian salami, and, of course, cheese. Cook for twenty five minutes gas mark 7 or about 220F. 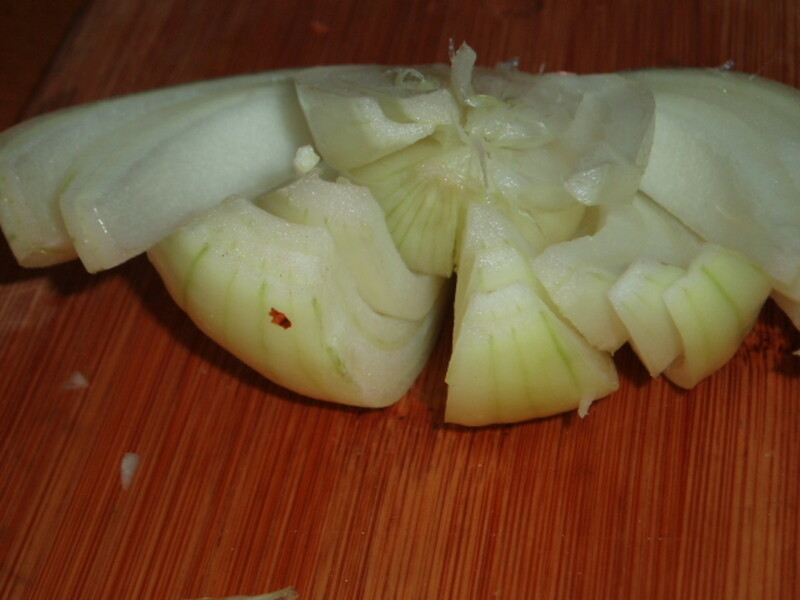 Cut the pointy end off the onion, and then peel off the outer skin. 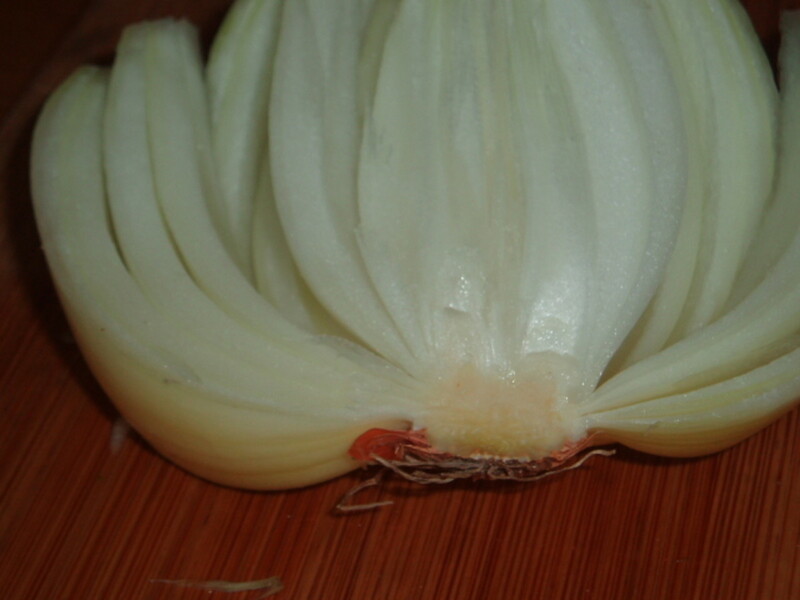 Make cuts into the onion, but leave the root alone. Finally chop the onion. You will find you get really nice, even chunks and very few tears. leave the root in tact. Derdriu, I just did something daft and lost this reply somewhere in the ether. chinwag, is indeed to have a good natter, chat. 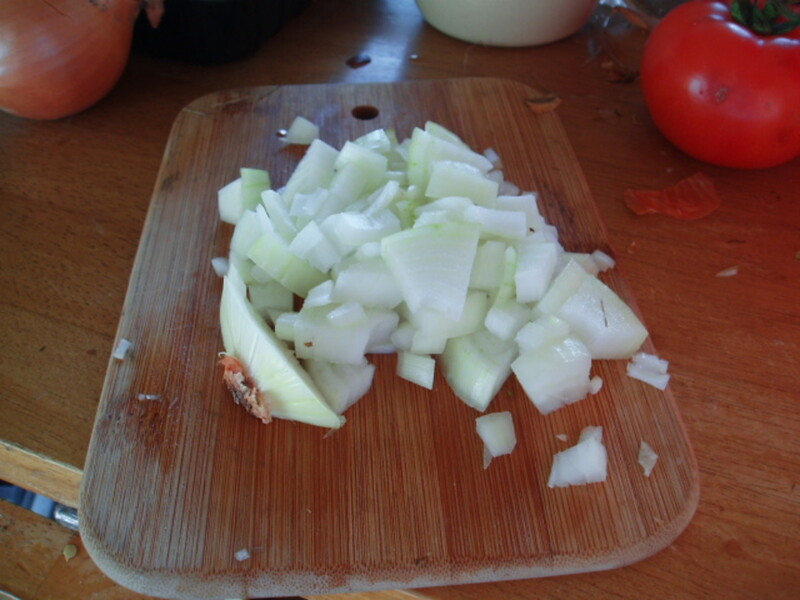 try the onion chopping idea, if you don't already, because with practice you can really control the chop size. If you have a large family you will know how chaotic meal times can be, but Fabio's grandma can take it to a very different level of disturbance. She gets everyone going and involved, and I know she does it on purpose just devilment. The family miss her sly smiles as they pitch in to the battle. Fabio's dad calls her Provocatore, agitatore, and usually goes into the garden. I'm off for a typical English Easter meal, lamb Keema Madras curry. Tony, What a delectable, delicious, inviting, scrumptious, tasty treat is real live focaccia! In particular, you do a great job of creating atmosphere through your charming details, such as the "chinwag" (talk?) after Fabio's surviving the "hammering" rain. Additionally, I love how you identify companion items to serve and substitute ingredients as well as the clear instructions and inspiring photos. Why did Fabio's paternal grandmother dislike lavender? What did she use instead? Thank you for sharing, voted up + all. I like to be kind to my plants, it osts me a fortune every spring to replace what I loose through the winter. My greenhouses are not big enough to get everything in. Bob Dylan's voice gave me hope as a singer, I thought 'if he could get away with it then so could I.
Tony, The U.S. is enormous, and Canada is massive! Viewing a country through the telly is interesting, to say the least. In this age of the visual media, it seems that the "hall of mirrors" shapes our images of other places. Bob Dylan has been an inspiration for many to learn guitar and/or harmonica but his distinctive vocals are difficult to imitate! His Midwest twang sometimes is strong. So kind of you, by the way, to wrap your plants in fleece. Your plants truly must flourish under your care. hi how's the computer saga going any joy yet? Talking that point in Russia I once went with the locals to place called white lake, we went to a monastry that was being renovated, the locals warned us to be careful because the postman had just been eaten by wolves, all they found was his bag and bicycle. I learnt to play guitar on Bob Dylan music, drove my crazy until one time we sang 'blowing in the wind' at chapel and then everything was okay. my only window on the States is the television, which is as distorted as a hall of mirrors but interesting. We have a comedian called Billy conelly who is about the same age as myself, and he has been travelling down route 66 on a motorbyke meeting various characters, more recently he has followed the north-west passage and accross Canada, wow that looks a big place too. It's freezing here today, I'm just going out to wrap some of my plants in fleece becaus they have forecast it to get even colder. I hate the cold. 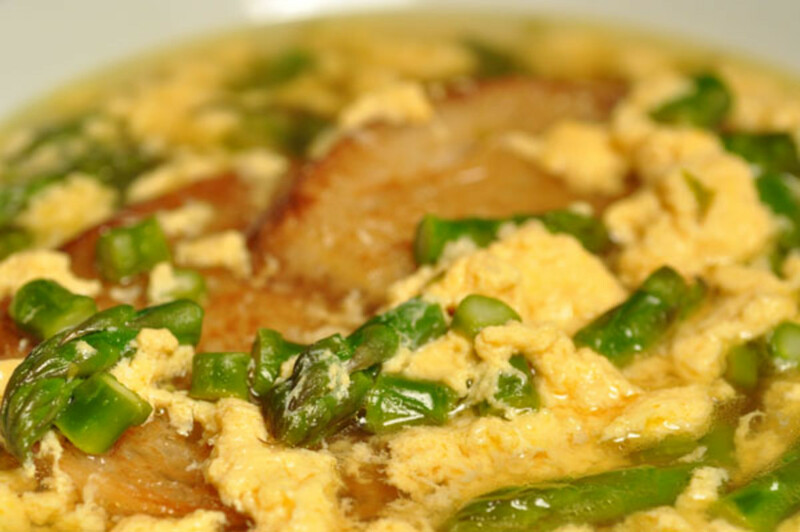 have you taken a look at my chicken Rissoto hub? Tony, Thank you for sharing that incredible observation about working in Russia and realizing that "there was probably no one between me and China which was about 7 time zones away." That is an astonishing realization of distances. The immensity of America is oftentimes beyond my grasp. As a lover of water, I am enchanted by the fact that no point in UK is more than 70 or so miles from the sea --- that's Camelot for me! Methinks John Denver primarily sang about Colorado, which is way out west, from my view. The upper Midwest includes the land that Bob Dylan and the artist formerly known as Prince come from, Minnesota, as well as other snow-blustered states such as Illinois, Michigan, Wisconsin, etc. In the transporter room, over and out! May the force also be with you! coming from a small island, I find it difficult to come to terms with the enormity America. Here you are never more than 70 miles from a coastline, anywhere in England, so when I consider your different states I sort of think of our counties. Yorkshire is the biggest but is still only about eighty miles east-west and probably the same n-south. So when you say you are from the 'mid-west', where is that? Obviously it is in the middle somewhere?? So when JD sings about Colerado and West Virginia we;; I'm lost. When I worked in Russia, we used to reach a point on the river that was as far east as we travelled and I would look out to the forest and be amazed that there was probably no one between me and China which was about 7 time zones away. That engineer in 'Star trek' had the worst Scottish accent ever! Tony, I remember hearing that in the early years of John Denver's singing career, he was warmly welcomed in D.C., which is something of a hop, a skip, and a jump from here. Somehow I thought that he mainly set his songs in Colorado. I moved to Virginia in this century, but my wilderness arias were performed in the Midwest, where I grew up. Library computers are often temperamental but I appreciate whatever access is available. One does tend to feel a bit pampered when owning a computer of one's own! 24/7 access cannot be surpassed. Stessily, alas all too often my wish did not become my command; I'm delighted that it did in this instance. round about these parts, all the libraries offer free access so that people job searching or just surfing can burst onto the internet. I looked where Virginia was on the google earth thing, because I had no idea, apart from it being in the states that is. I believe it is where John Denver used to sing about. Don't worry, I'm not stalking you on google or anything I was just curious after you said you had been singing to the mountains out in the wilderness. Tony, "Speak soon": It was one of those synchronicities in which your wish was your command! Lavender tea is nice. I think that lavender would work in stews. A dry taste in bread sounds rather gagging to me. :-( Perhaps only a tad would work, or perhaps less is more or too much! I wish that I could utter words of wisdom about ebooks, but I have no acquaintance with downloading them. I'll put my thinking cap on and see if any guidance comes through. Yes, I'm using different computers of varying abilities, depending on what's closest. I like optimistic expressions, particularly when they work. I'm not sure about the lavender, I've tried it in bread, and it has a dry taste to me. I need to investigate further. Yes it would be nice to publish a book together, it would be nice to publish a book of any kind. I still can not work out how to make my manuscripts into e books. I downloaded the thing from kindle and I don't seem to make any headway with that. I never was much good at following manuals I'm more of a fly by the seat of my pants type. still no computer, do you use one in the library when you post answers? you did indeed speak soon, it's just a saying hear like 'see you'. It's just optomistic expression. I didn't think that it was possible to perfect this hub, but you have! Dried lavender is definitely a seasoning of nuances, so I'd have to side with Fabio's maternal grandmother for adding it, especially to stews. I've never tasted lavender bread, but along with the Provence mix it would be tantalizing, perhaps even subtle! I think that the culinary adventures of Tony and Fabio make interesting reading. At the very least they should appear in book form; at the most exciting visually, you guys should have your own cooking show! How fun would that be? I spoke pretty soon, didn't I? I hope you are back on line soon, I've made a few adjustments to this hub which you might be interested in. Stessily, I always find New Year's Eve a time for reflection, not just of the past twelve months but of one's life. My son and my grandkids have just left very excited about letting off rockets tonight to celebrate. They are children of the digital age, they ipads and modile phones and they are not even teenagers yet; I wonder what they will look back on when they reach my age. and so, my perfect cadenza I wish you all you wish yourself for the future. Tony, Thank you for reminding me of the free flowing aspect of cadenza, which sums the whole within one phrase. That is such a lovely compliment! I agree that Russian is poetic, and so its syllables and words enhance, and are enhanced by, music's flow. I wish that I had visited that theatre. Unfortunately, it was a bit before my time, in 1815. If only I could either consciously time travel or remote view, then I'd be there in a heartbeat. Happy New Year, Signor Amabile! I was considering more the free flowing and sometimes improvised aspect of Cadenza, which can sum up the whole in one phrase. I find Russian a very poetic language. What an amazing set, did you visit this theatre? Signore Amabile! Grazie, grazie mille, for considering me as an ornamental passage (cadenza) or coloratura. The Queen of the Night is a favorite character for me in Mozart's operas, let alone any opera, so to be equated indirectly with her is a grand compliment for me. German opera differs from Italian, that's for sure. I think that it's hard to compete with Italian as the language of opera. But, on the other hand, other languages, such as French ("Carmen") or German or Russian, do cast their own operatic spells. maybe you are a little bit of a 'cadenza' or a coloratura; because you can add great colour to any article with your clever input: a typical part for a coloratura soprano is that of the Queen of the Night in Mozart's opera The Magic Flute (Die Zauberflste). I find all the German composers difficult to get in to. I worked in Germany for two years and went to several concerts, but I'm still not convinced; I did like the country, or rather the Rhine Neckar and Mosel valleys. Tony, Thank you for the additional suggestion about malt extract for feeding the yeast and improving bread. I think a perfect musical term for you would be either armonioso (harmoniously) or amabile (amiably, pleasantly). Either one of those terms exerts a nice influence on maestoso, keeping it within the sphere of grandeur but protecting it from pretentiousness. In other words, a perfect blend of possibilities. Armonioso and amabile are my two favorite musical terms because they perfectly describe for me the creations of my favorite composer, Wolfgang Amadeus Mozart, who always avoided dripping sentimentality through healthy doses of armonioso and amabile. There are some hubs I would really like to finish soon. Unfortunately my computer crashed, so for now I have irregular computer access. May that change soon! such a pleasure to hear from you again. Thank you for your kind words and useful comments. 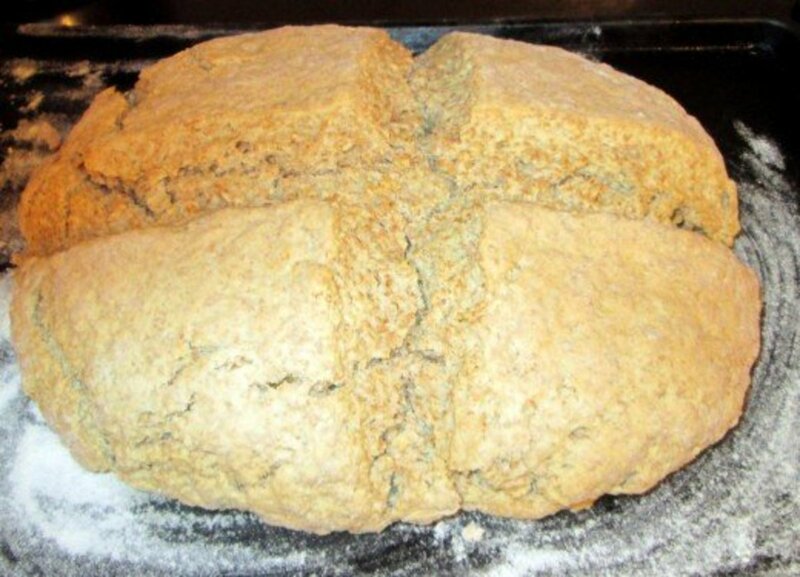 I hope you try some of my ideas, you can also try malt extract to feed the yeast and improve the bread. I look forward to your next hubs. Tony, I am in complete agreement with you about not spoiling a meal with inferior bread, which does not have to happen. Thank you for sharing your tip about including maple syrup in the proving --- it conjures up wonderful taste sensations! Your last sentence comes straight from the heart of a true chef: "Always serve with love and it will taste much better." 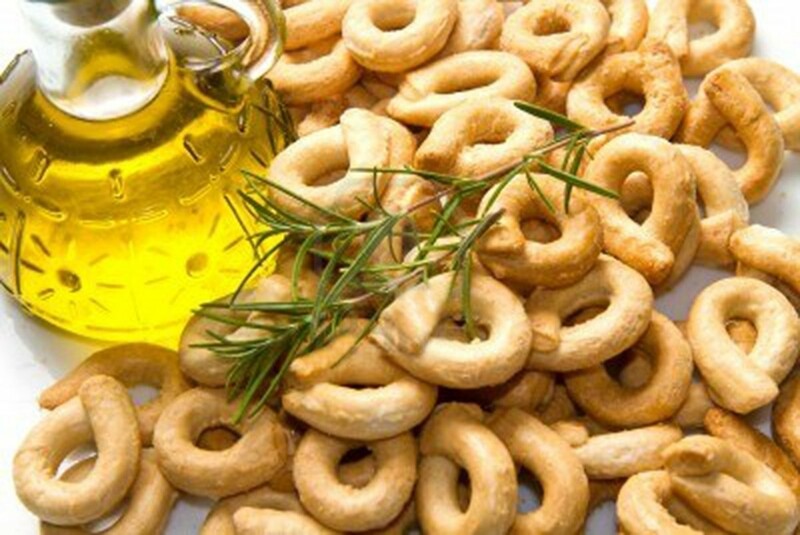 Italians have long known that amore is the secret ingredient that enhances every item on the table. All your hubs are enjoyable, and I especially appreciate the camaraderie that flows from your culinary adventures with Fabio, whom I think of as Il Maestoso, which normally is a musical term but seems to fit the stately majesty of the serious, yet fun, appreciation which you two chums have for culinary escapades. Thank you for dropping in, I hope you will take a look at some of my other recipes if you enjoy cooking. This sounds delicious. Easy to follow as well. Useful hub!